Our reliable plumbing experts have experienced a wide range of gas line challenges during the last 49 years. 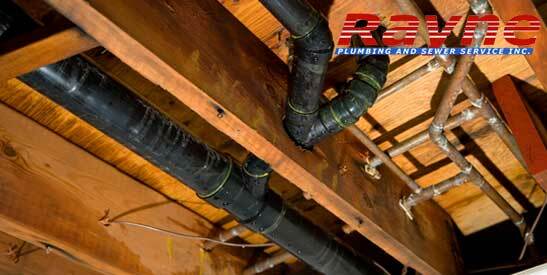 Call Rayne Plumbing if gas line installation, repair or adding a plumbing fixture describes your need. We’re here to address all your plumbing questions, so call today. Gas line installation requires a “safety first” approach, one that our experienced plumbers have practiced for years. We repair and install robust gas line structures so that you and your family can rest assured that the air you breathe is safe. Give us a call today for more information. If you suspect leakage in one of your gas lines or notice the odor of a leak, seek fresh air outside and don’t wait to call for help. Excessive gas inhalation is dangerous, but our 24/7 dispatchers can send a professional to fix the leak immediately. Get in touch right away if your gas line needs repair or replacement. Rayne Plumbing is extremely responsive and proud of its unyielding promise to deliver quality service and earn your trust. What are the benefits of professional solutions? A gas line must be professionally installed and repaired for the benefit of your property and the safety of you and your family. If you have a gas line that is leaking or in poor condition due to faulty installation or repair work, you may face dangerous fumes escaping into your home. Whether you need a new line directed to a different location on your property or you need repair work completed on an existing line, our team at Rayne Plumbing can help. Our professional gas line experts understand what it takes to properly install and repair a gas line on your property. If you need to run a gas line for a fireplace installation, an outdoor BBQ feature, a dryer, or a fire pit, our experts will help you determine the ideal location for the line. This may be based on the location of existing structures, where the line needs to flow into the home, or where it is most accessible. We will also look out for areas that may not be ideal for installation, such as areas near large trees where roots can damage the lines. We will inspect the property thoroughly before determining the best location for the new line. If you plan on adding gas fixtures by yourself, please regard this warning: Gas is highly volatile and sometimes unpredictable for untrained hands. By contacting a professional, the chances of harm or misconfiguration fall substantially. Rayne Plumbing will ensure that your gas lines are implemented safely and correctly sized and sealed. Explore our Adding Gas Fixtures page to learn more.